How do I view a detailed invoice? 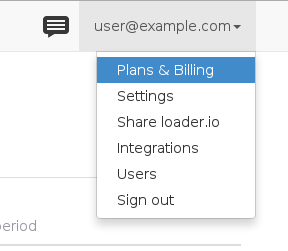 Detailed invoices are available under the "Plans & Billing" option in the drop-down menu in the top right corner of your loader.io account. 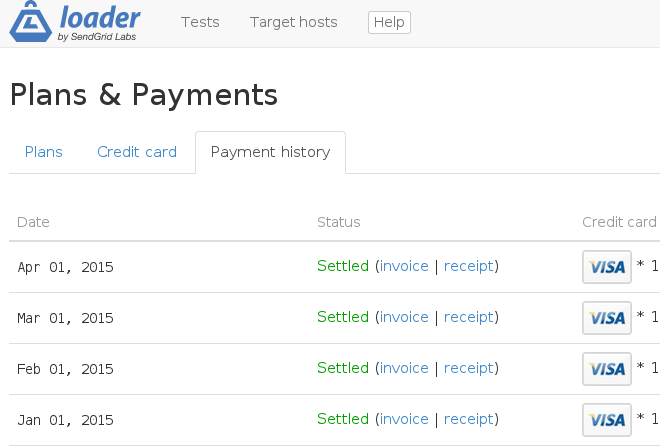 Click on the "Payment History" tab and you should see a list, with a link to each invoice and receipt.